Chatbots are increasingly essential to e-commerce businesses. Do you know how to build a tribe on Messenger that you can call on to purchase, review & rank your products? Even if you currently have zero followers and have never set up a Chatbot before, you’ll leave this Workshop with a fully operational system ready to work for you. ⭐ Workshop starts at 10am and runs until 5pm. 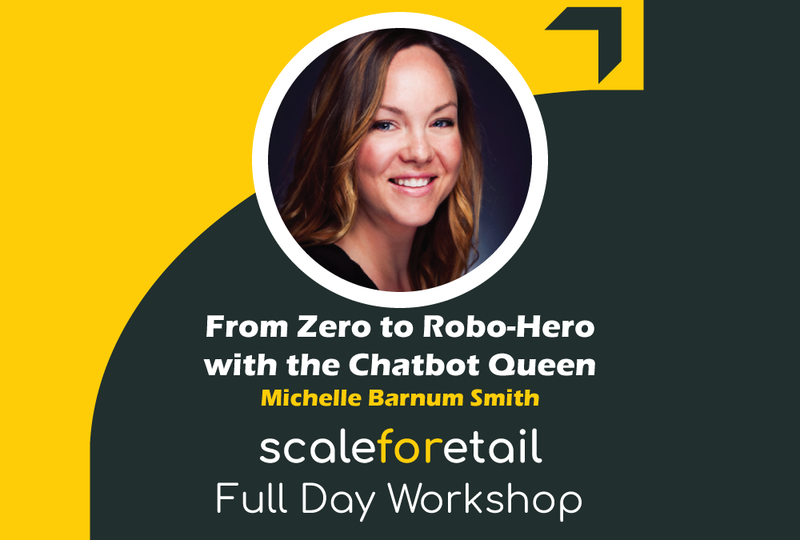 ⭐ Just think what a full day focused on Chatbots could do for your business! Michelle Barnum Smith is an 18 year Marketing veteran. When she saw the power and ease of using Facebook Messenger bots for delivering quick ROI for her ecommerce clients she quickly developed her expertise in the niche. 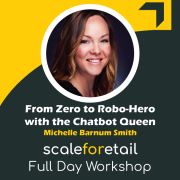 Now Michelle teaches ecommerce and Amazon sellers how to use Messenger Chat Bots to build their own lists, launch products, and improve their rankings and reviews on Amazon. 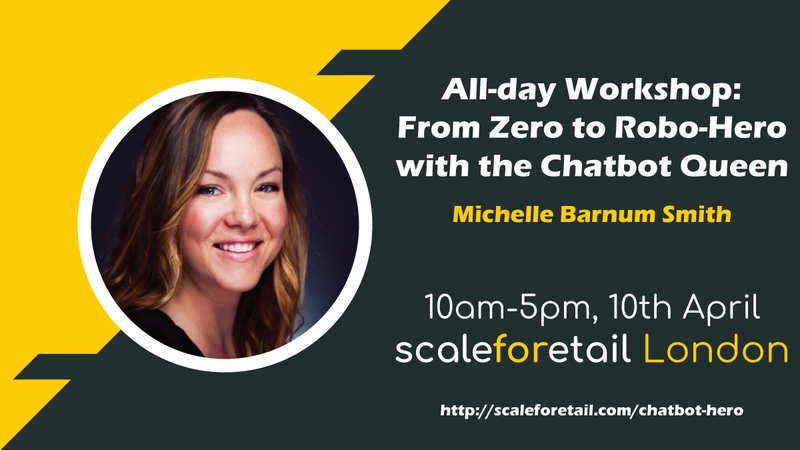 Michelle has been featured on Forbes, Business Insider, The Examiner, ExpertBeacon and INC. She has also been a featured Speaker at AMZ Innovate, Global Sources Summit and Traffic & Conversion.